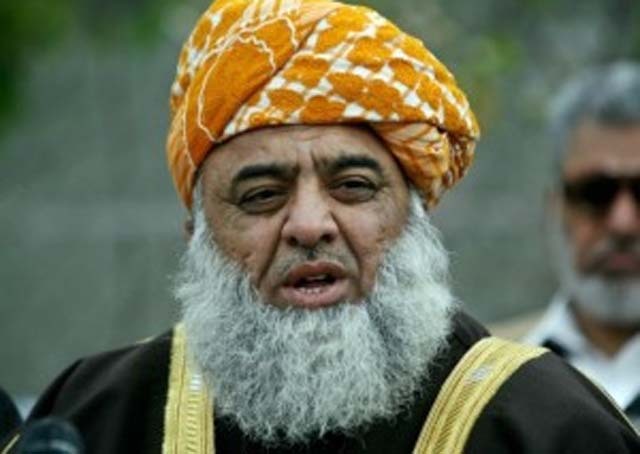 Jamiat Ulema-e-Islam-Fazl (JUI-F) chief Fazlur Rehman on Tuesday claimed in the National Assembly that that the parliament was “helpless” before military establishment’s decision of conducting a military operation in North Waziristan Agency. “The decision regarding use of force is the domain of public representatives, not the military establishment,” he added. He said that the JUI-F was not in favour of militancy in the country but the use of force had not worked in the past. “It is time to determine whether this operation is against terrorists or the people of Waziristan,” Fazl added. He said that the decision was taken by the army while the parliament had merely given approval to it. “How one can convince extremists that democracy is the best option if the constitution and democratic norms will not be respected by state institutions,” he asked. He said that the parliamentarians had not honoured dozens of parliamentary resolutions regarding restoration of peace through talks. “I know I will be penalised for my independent opinion but I want to record my protest on the pages of history,” he added.